When the school year ends, many children of working moms head to day camp each weekday morning. How can you make this transition easier for both you and your child? Make sure your child has everything they need each day to make day camp a fun and enjoyable experience. Use the packing list below to prepare for day camp. The list of things your child needs each day at camp is long so choosing the right backpack to carry them in is important. The same one your child used during the school year may not be adequate. Is durable - Day camp is hard for a backpack. Select one made of sturdy fabric or nylon. Make sure all of the zippers work properly. Has a compartment large enough - To hold the extra set of clothes, swim gear, and towels a day camper needs. Has an outside zippered compartment - Perfect for storing tissues, lip balm, and hand sanitizer so your child doesn't have to dig around in the main compartment each time these items are needed. Has an outside mesh water bottle pocket. Easy accessibility to water will help your camper stay properly hydrated all day long. You may even consider a rolling backpack as day camp supplies can be heavy. Complete extra set of clothing - Shorts, t-shirt, socks, and underwear. Put them in an extra-large resealable plastic bag. Your child will have everything he needs to change clothes plus a plastic bag for the wet or dirty ones. Extra pair of shoes - Camp is messy and muddy. Most camps require close-toed shoes. Be sure to also include a plastic grocery bag for the wet or muddy shoes. Hooded sweatshirt - Early mornings and cloudy days can be chilly; make sure your child is prepared. Baseball cap or visor - Many day camp hours are spent outdoors. Remind your child to wear a hat or visor for sun protection. Bathing suit - Most camps require one-piece suits for girls and modest swim trunks for boys. Consider purchasing more than one for each child to avoid washing bathing suits and towels every night. Towels - Send two smaller towels for your child; one to sit on and one to wrap up in after swim time. Goggles - Consider buying multiple sets of goggles at your local dollar store. Goggles will get lost, borrowed and broken. Having an extra set or two on hand will help avoid morning meltdowns when your child realizes they are missing. Plastic bag - Include a plastic bag for wet swimsuits and towels. Sunglasses - Just like goggles, sunglasses get lost, borrowed and broken. Have a few extra pairs handy at home. Sunscreen - Most camps ask you to apply sunscreen to your child in the morning. The counselors will then help your child apply it throughout the day. Insect repellent - Consider sending insect repellent wipes to ward off bug bites. 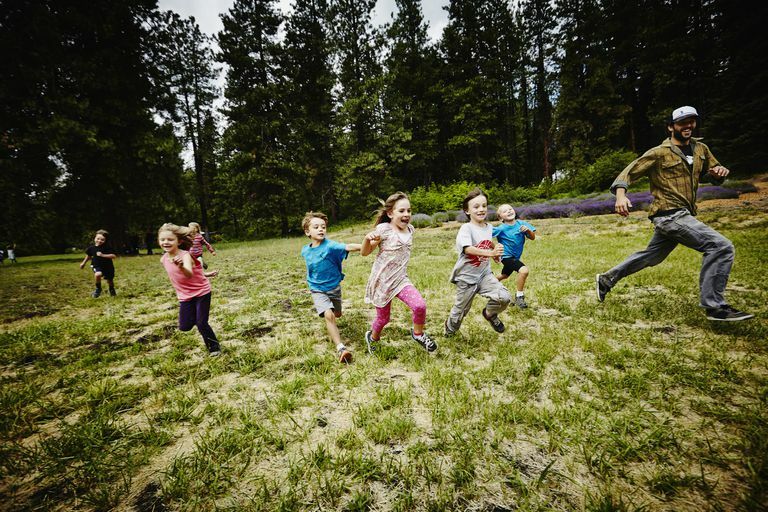 They will make it easier for your child to apply the insect repellent and avoid the possibility of spraying bug spray in their eyes or those of a fellow camper. Prescription medications - Most camps require that these be checked with the camp director or camp nurse each day. Water is the best drink for your child at camp. Not only is it the best at quenching thirst, it doesn't include the sugar and calories in many other drinks. Freeze two water bottles each night. Put one in the outside pocket of your child's backpack and the other inside the backpack. As the ice melts, your child will have a cold and refreshing drink. Pack a lunch and snacks in a thermal tote bag with at least two ice packs. You can get ice packs in the camping or outdoor section of any local discount store. They are also often available during the spring and summer at grocery stores and pharmacies. Avoid packing a lot of candy and sweets. Too many of these can make your child sick when outdoors in the heat. Consider that your child will more than likely eat lunch inside on the floor or outside on the grass and will not likely have a plate or hard surface on which to set a drink. Most camps are nut-free zones. Be sure to check labels carefully and avoid all nut butters. Lunch suggestions include turkey and cheese roll-ups, cream cheese and raisin tortillas, cheese sticks and crackers, apple slices, grapes, orange slices, pretzels, yogurt, or applesauce. Snack suggestions include granola bars, cereal bars (avoid chocolate as it melts), dry cereal, crackers, cheese sticks, pretzels, or carrots and vegetable dip. Include a small package of wet wipes. They make after-lunch clean-up easy for your child. Label everything - Use permanent markers to label backpacks, plastic bags, and containers. Use iron-on labels for blankets, towels, and clothes. Include a surprise - Write your child a note and include it in his backpack. Pack a favorite snack and use a permanent marker to put a big smiley face or heart on the bag. Tape a family picture to the inside top of your child's lunch box. All of these things will let your child know you love him and are thinking of him throughout the day. With this day camp packing list, both you and your child can relax and enjoy the different pace that summer brings.